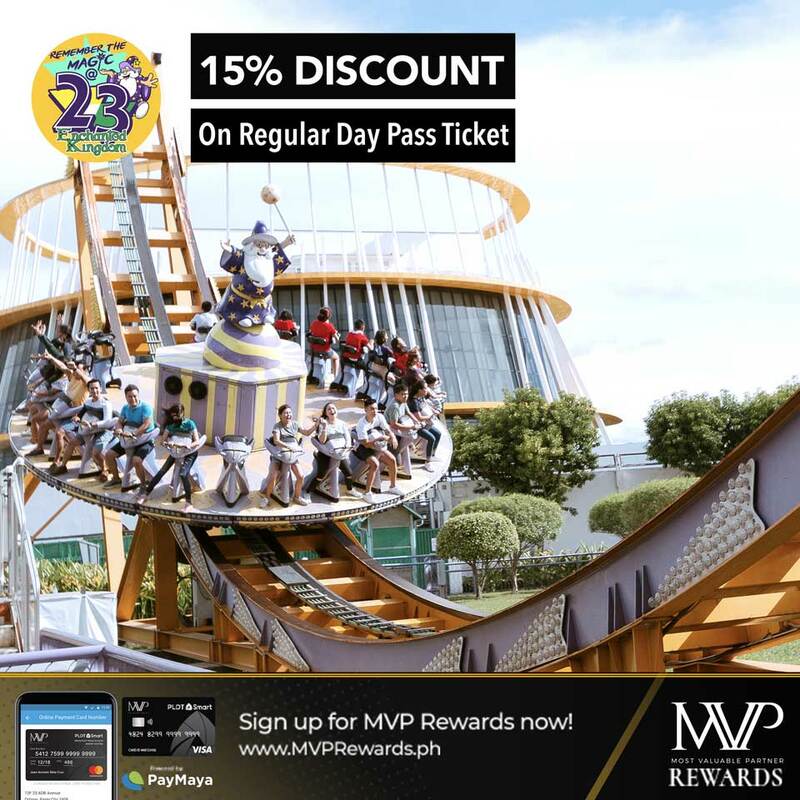 A Magical adVentures and exPeriences await MVP Rewards members! Head on to Enchanted Kingdom and get an exclusive 15% OFF on regular ticket rates! Promo open to PLDT and SMART subscribers upon presentation of their MVP Rewards Card. Promo is available at the Park's Front Gate ticket booths and Group Sales Office in Sta. Rosa City. Not yet a member? Register today and feel how enchanting it is to be an MVP!